There is something special about a place where the mountains meet the sea. When the hand of man then adds to it by cultivating its richness and sculpting it with care a further beauty is revealed. The Channel Island coast of California is an hour north of LA, where the coastline curves to face south with four large islands off shore. The Santa Ynez mountains jut up just a few miles inland providing a scenic backdrop, and spectacular views from the foothills and ridges. With a temperate year round climate, beautiful landscape, and fertile valleys the towns along this coast are beloved by travelers and residents alike. 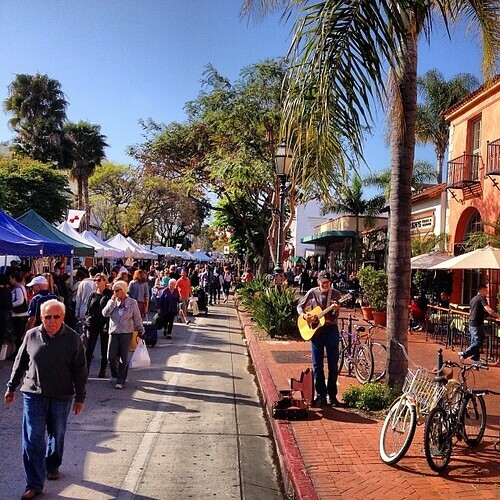 The Spanish and Mediterranean inspired town of Santa Barbara is jewel of this coastal region. 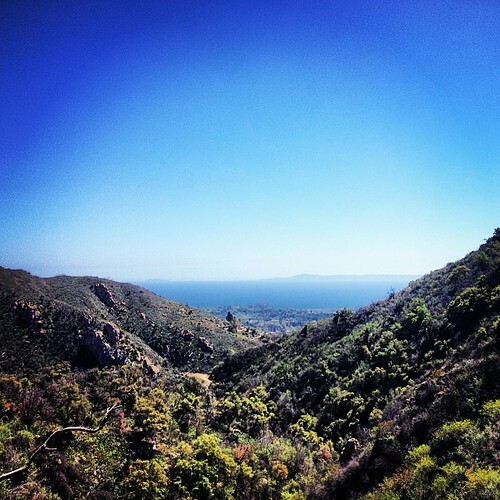 Last year we passed through Santa Barbara on our travels and vowed to return. A year later we accepted a camp host position at the State Beach in Carpinteria, only fifteen miles south. This is a small beach town that looks like a throw back from the 1960’s, with modest bungalows and suburban modernist architecture. On the weekends the tall palm lined streets bustle with weekend tourists from the San Fernando Valley. The town has resisted large scale development in both housing and chain retail. Much of the land is still agricultural only a mile from the main street. It is known as the orchid capitol of the US, and grows more than it fair share of avocados. Residents love it here and rarely leave if possible. With an exceedingly tight real estate market, there are buyers willing to pay nearly $1M for a modest home if they can find one and feel lucky. For many they can’t imagine living anyplace else, even if means working multiple jobs to afford the cost of living. Santa Barbara is not a place where people go to make their fortunes, it is where the fortunate go when they have made it. Looking out toward the crescent shaped coast, the valleys and hills appear to have been transplanted from Italy or the Mediterranean. Landscape architecture here is an art form. In all directions there are villas, mansions, palm trees, infinity pools, and golf courses, interspersed with vineyards, citrus groves and park lands. Downtown along State Street is a mile long strip of vibrant retail and eateries. The trendy Funk Zone, which is supposed to be the arty-hip district, would be considered upscale in any other town. Santa Barbara is also a college town and the youth and vitality is seen and felt. Most well known is University of California, Santa Barbara with its beach front campus and notoriety as a “party school”. Up and over the Santa Ynez Mountains there are smaller unique townships that add to the appeal and diversity of the area. 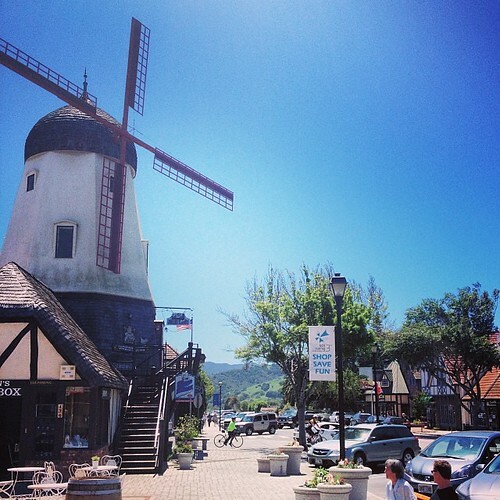 Solvang is a strange sight, as it is a recreation of a historic Danish village. It was built after the original Danish settlers realized people were curious about their existence and began attracting tourists. 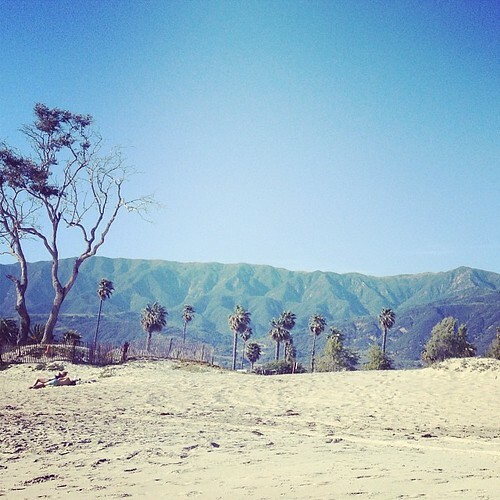 Ojai is a cross between upscale spa resort and aging hippie community that is surrounded by equestrian enthusiasts. 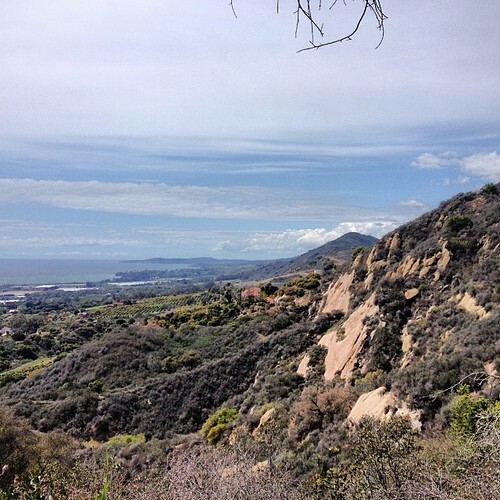 This area is also the modern home for the Chumash Indians, the native population that once inhabited the coast, now there is little more than a Casino up in the mountains to evidence this. Santa Ynez is home to a historic Mission and is still the working agricultural center and heart of the valley. 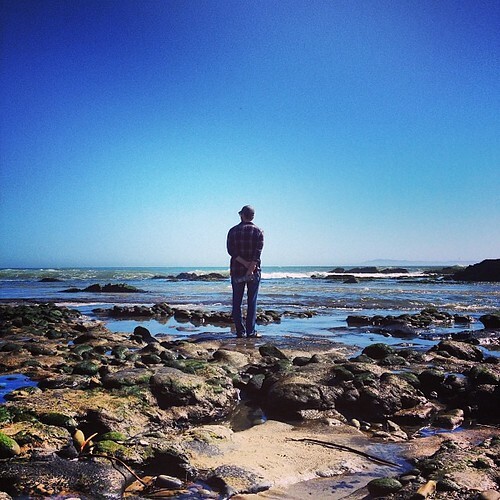 The Channel Island Coast inspires health and vitality. The weather is nearly perfect for outdoor activity with biking, hiking and surfing being the local favorites. 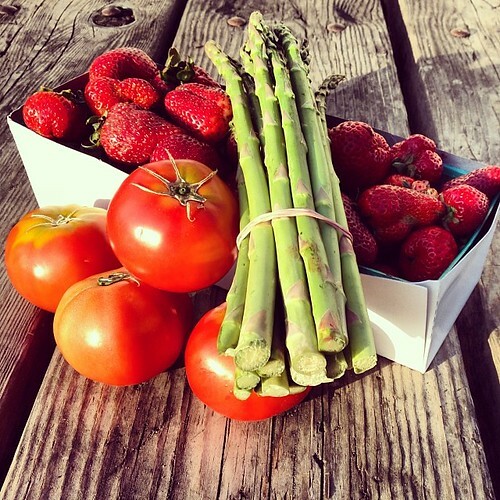 Eating fresh local food is possible all year long, often pick just hours before it hits your table. 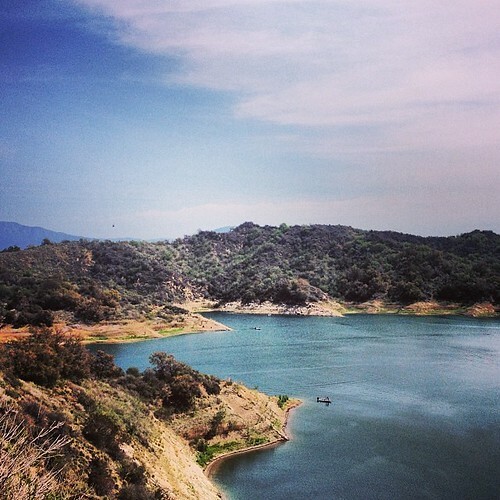 Since we have been here I have been inspired to hike or run and meditate nearly everyday. Alayne has enjoyed making new dishes using local produce, and evening walks on the beach. 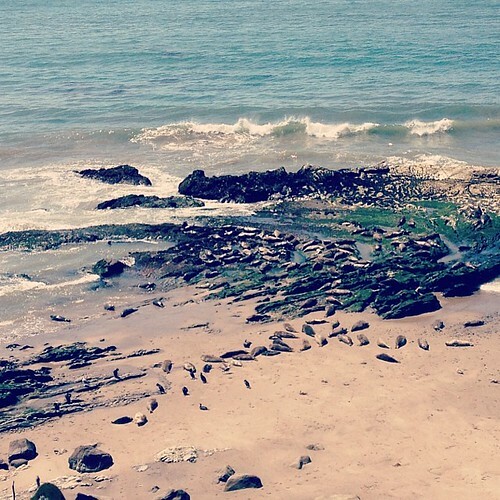 Wildlife sightings have been regular, and we have especially enjoyed the Grey Whales and watching the seals hopping around at the local rookery. Each day has greeted us with the possibility of adventure and we have made the best of it. Now we begin our journey north to Oregon and the Pacific Northwest for the Summer. 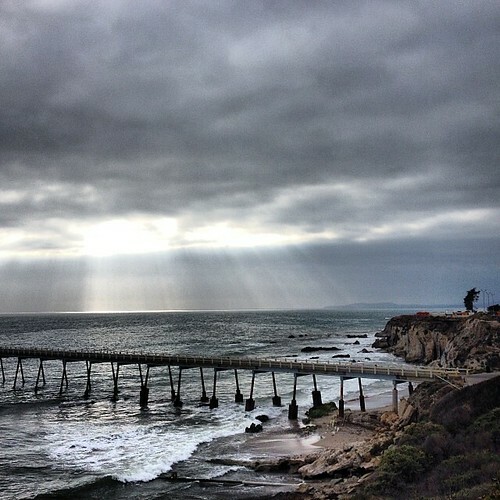 This entry was posted in Musings, Travels and tagged California Coast RV travel, California RV travel blog, Carpinteria RV park, Carpinteria State Park Review, Fulltime RV blog, Fulltime RV California, RV Volunteer Workamping, RVing California, Santa Barbara Travel, Seal Rookery Carpinteria, Tar Pits Park Carpinteria on May 4, 2014 by The RV Nomads.